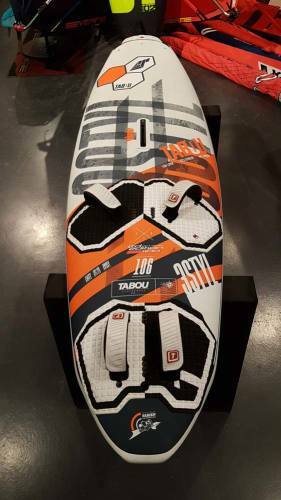 The tabou manta team 2019 is online available and also at the Telstar surf shop . Order this tabou manta team 2019 simply by adding it to your cart. Check out our other Tabou products online. With the Manta under your feet, there’s no excuses! Nothing will hinder you from being at the top of the podium anymore, so make sure you’re on top of your game to fully make use of the Manta’s power. 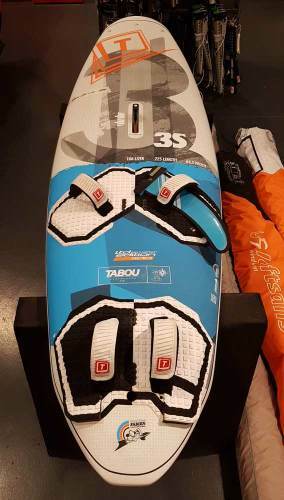 Cedric Bordes, Ross Williams and our whole racing team worked with Fabien to achieve the best overall salom board for the 2019 season. The Manta will accelerate quickly in the light winds of Korea, cut through the chop of Sylt with ease and fly in the powering winds of Fuerteventura without losing control. Very much appreciated by our team of professional slalom team riders, the Manta brings all benefits to make every speed enthusiast more than satisfied with its performance, speed and jibing capabilities. 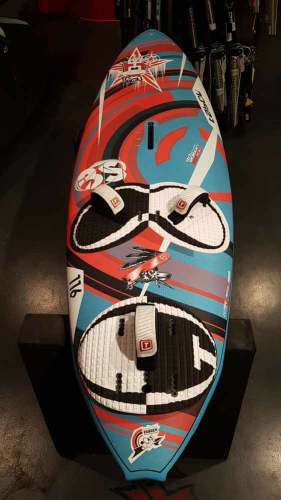 Just like introduced in the last year, the Manta 81 and 85 include a foil ready tuttle box to further expand this board’s potential.